What IS Thinglink? It's a super easy to use and powerful way to bring images to life. You simply find a background image, and add clickable links - basically, 'hotspots' - to the page. Here's a short presentation I put together for my high school's faculty. We've started to use Thinglink for both student projects as well as teacher created works - one teacher has created a Math summary study guide that she's provided to her students to study for finals! Finally, here's a short video that explains how to add content, once you have your account set up and have added a background image upon which you can place the links. All the steps to set up and run a Mystery State Skype can be found on Tracy Watanabe's blog found here. Tracy says Mystery State Skype "isn't a new idea, it's basically taking learning geography and placing it in a game format like Twenty Questions via Skype, by asking questions to guess the location of the other classroom. Not only does this connect students from across the country (or globe), but it also gives a context for students to apply geography with critical reasoning, collaboration, communication, digital citizenship, and information fluency -- 21st century skills." Please look at her post for the full scoop to successfully run a Mystery State Skype! Still suffering from withdrawal with the loss of iGoogle? Rejoice! Thanks to a timely Twitter post, I discovered start.me. Start.me is my new browser home page, allowing quick access to general news and sports, my bookmarks and feeds, social media, local weather, Google calendar, gmail, and more. There’s also a nifty little note-taking widget to jot down those brainstorms. Start.me offers ideas for classroom use. Go to their education page for more information. Students can set up their own personal learning environment and learn the important life-long skill of managing their digital content. Users can add pages to separate info. It is very easy to set up and personalize, including numerous background images and layout. You can use a template, or just start with a blank slate. I started with a template, but pretty much deleted everything and just added widgets. Start.me makes importing Feedly feeds simple, be sure to peruse the support page to see how to do it and other migration tasks. Dropping in gadgets with embed codes are easy too. Somehow my start.me page opens with each new tab (Chrome). Not sure how that happened, but I’m ok with that. 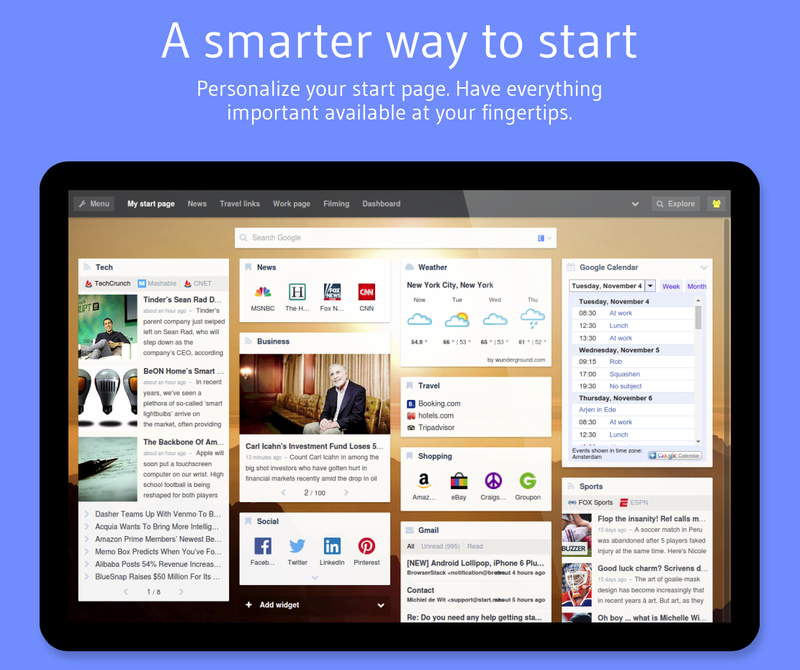 If you have other great start page alternatives, please share! This webinar features our friend Balefire Labs President Karen Mahon and the Center for Innovations in Learning's Janet Twyman. It is sponsored by the Center for Innovations in Learning (CIL) at Temple University. To learn more about CIL, visit their website:http://www.centeril.org. Some very interesting thoughts about using mobile devices and how to uncover the power of using them to further student learning in the modern classroom. In this webinar, Dr. Mahon describes five criteria used to evaluate the quality of educational apps, and participants get a chance to apply those criteria in evaluating an educational app. History set to modern music! Top 10 posts Sept. 2014 - iPads, Chromebooks, Copyright, Back to School Checklists & more! After skipping a couple months, here is the long-awaited list of top posts for September 2014! Summer's Coming! What's on Your "To Do" List? Time for the Back to School Ed Tech Checklist! It's already mid-August! Time to get cracking. Developing lessons that have sound pedagogical foundations and integrates ed tech is essential in this day and age. Additionally, there are some basic prerequisites that need to be addressed to get the year off to a smooth start. Here's a list with back to school ed tech to do's. 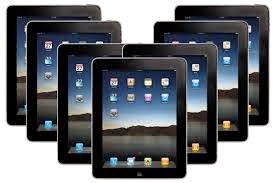 Confirm the budget for ed tech needs. Order anything you have the budget for so it's at school before the year starts! Review and update your Acceptable Use Policy. Make sure carts are set up right - do they charge devices, is the timer working? Enough power supplies? Tune up/double check your Google Apps for Ed policies and settings. Understand or develop a procedure to check-out/check-in devices. Create a Tech Boot Camp agenda ("How do I...?") for students and roll it out by first week of school. Determine your go-to techie kids (after school starts, of course). Develop your first (one, or three, or five...) ed tech integrated lessons. Confirm all the wireless access points are plugged in and functional (summer cleanings and all). 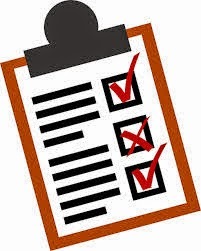 Update student lists - add to Google Apps for Ed, LMS, SIS, online edu sites, etc. Make sure document cameras, projectors, etc. are functional. Do you have a spare lamp? Confirm the location of digital cameras. Make sure they're charged up. Create a signout sheet. Develop a brief communication to parents about your ed tech plans (i.e., why is this important?). Freshen up your class webpage for the new year. Find a blog that will help you learn more about new tools, tips and techniques. Add one new thing to your tech tool belt. What other items can you add to this? Let us know! I recently read that 90% of the content found on the Internet was created in the last 4 years. New material - text, images, video, and music - is available to us to access at a rapid rate. Ways to use it, repurpose it, and share it are growing too. New multimedia tools and social media networks are sprouting up on a regular basis. Even our old friends, like Facebook and Twitter, are coming up with new ways to add to the proliferation of information we see each day. Add to that what educators regard as a confusing Fair Use policy, and teachers are at times leery to jump into the pool of Web 2.0 creative opportunities for their students. Unfortunate, but necessary, as those who create work need to be protected from unscrupulous use of their creations. 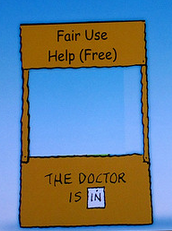 True, Fair Use is purposely contextual in application. While many see this as confusing, the more one studies it, the more that makes sense. 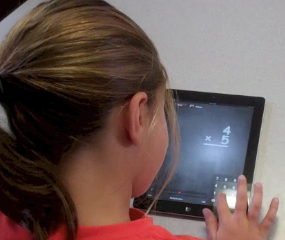 Nothing we use either inside or out of a classroom has identical purposes or applications. It comes down to asking the question, “Am I using the creative work of others to somehow financially or personally benefit?” If the answer is yes, copyright infringement might be in play. Being we are in education (therefore, fall under Fair Use provisions) we have our own “magic checklist” to consider. Have we and our students: checked who owns it, received permission to use it, given credit to the creator, bought it (if necessary), and used it responsibly. Are we as teachers modeling these practices for our students? Are we requiring students to abide by them every time? I have discovered a very complete resource to help teachers navigate through the murky waters of copyright and Fair Use. 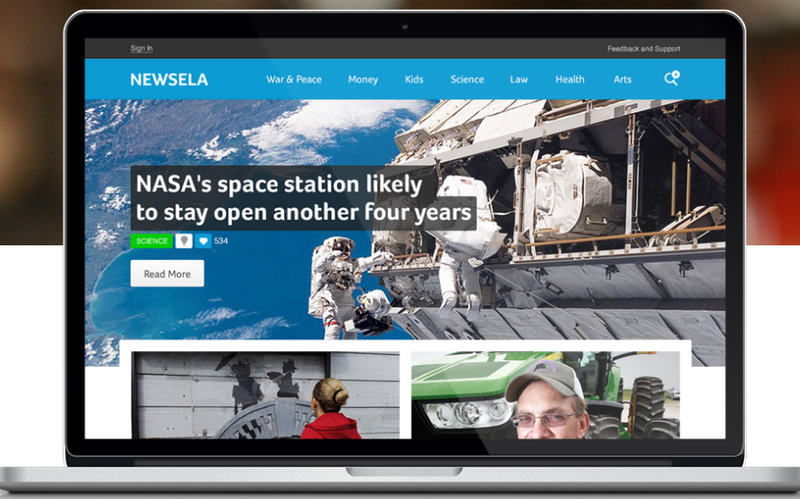 The Media Education Lab at the University of Rhode Island has created a complete site of videos, slideshows, and other information specifically designed for teachers. Take a few minutes to see what is available and consider referring to it when questions arise. Top Posts June '14: Comic creation, close reading, Chromebooks, coding & more! Here is our long awaited monthly top posts for June, 2014! 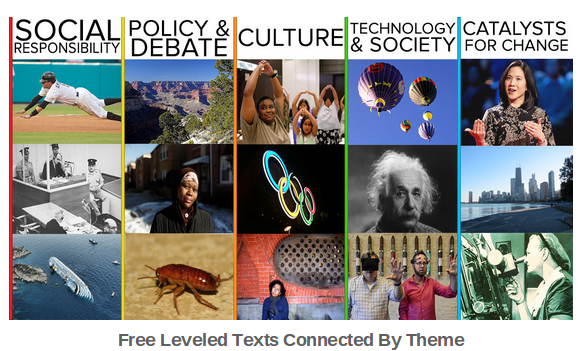 Top Posts - May 2014: Chromebooks, iPad, Assessment, Creativity & More! Here's the hot topics from our May 2014 posts - enjoy! There are so much talk and so many options out there to get students interested in coding. Why should students learn to code? Simple - it builds critical thinking functions. As a former junior high teacher, I would have loved students come into my classroom with the ability to make independent decisions and feel they had the ability to step "outside the box." I always believed that ability was there, the students just didn't understand the functions to access it. Coding is one way to build that necessary thinking. Here are two coding apps that students will really enjoy. One is for younger students, the other is geared for high school. Adults of any age who want to see what coding is all about would enjoy both. Both were introduced through Imagine K12, an education start-up incubator located here in Silicon Valley. Kodable: Programming geared for little ones (5 years and up, and adults like me). It's currently iPad only, but should be web-based and Android by Fall. There is a teacher dashboard with 105 self-guided levels for kids to enjoy. Basic is free, upgrades will cost. CodeHS: Full computer programming curriculum for high school students. Students should be designing their own games within a year. They even have tutors available. Free to try, with a basic individual subscription of $25/mo. These are just two worth looking at. If you use others, please let us know! I had fun working with teachers this week at an iPad workshop. The focus was creativity, including a discussion of ways to integrate technology with CCSS. Both elementary and primary teachers were engaged in learning about the apps and how to use them in their classrooms, but it was the primary teachers who really got into the process. All these apps allow for emailing links and copy of URL as forms of sharing. Haiku Deck and Adobe Voice have thousands of beautiful images available for you to use. My teacher test-sample loved that feature. All allow you to pull in your own images. All these apps are free, If you have a creativity app you just love, let us know! My job affords me the opportunity to speak to parents about raising good digital citizens. My goal is to highlight what's positive about their children being "online". Young people can learn more about their interests, develop better communication skills, and become more familiar with new and developing technologies. They also have the awesome opportunity to learn about other cultures and viewpoints. One site they can use for that is Google Cultural Institute. Check out this video for a quick look at what GCI can do. As a teacher, this site has unlimited uses in your classroom. Your students can tour some of the most respected art and history museums in the world. They can compare works side-by-side, zoom into art pieces so close you can see brushstrokes, and tour the museums as if you were there. Art instructors can use this site for virtual tours, analysis of works, and studies of artists. Other teachers should consider visiting this site when studying the Holocaust, women, Greek culture, wars, industry or specific time periods. There are exhibits featuring Anne Frank and Nelson Mandela. After a few minutes scrolling through the galleries, any teacher should find something to use in lessons. I appreciate Google using their powerful resources to bring students opportunities to learn more about the world around them. The Google Cultural Institute and the Google Art Project are two ways we can better understand the issues that frame our world, and the cultures that make our society so diverse and rich. Top 10 April posts: flipping, accessibility options, iPads, Chromebooks & more! 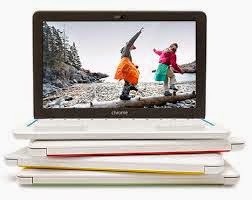 While researching fun, creative strategies for a Chromebook integration presentation, I ran across this informative video by Eric Curts. 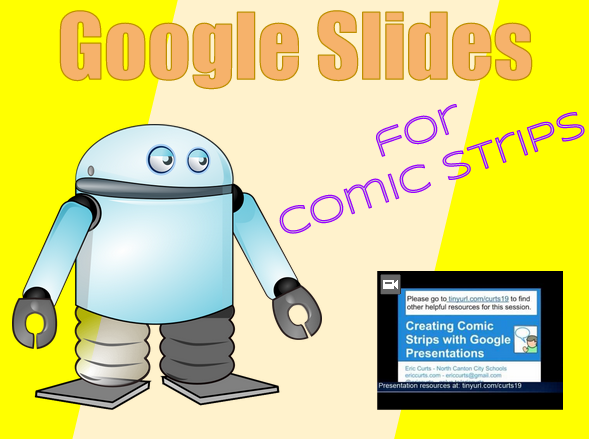 Eric demonstrates how to use Google Slides to create comic strips. Once you see how simple it is to create comic strips, your students won’t need to use more costly comics applications. Just watch the first 20 minutes or so of the video to get the gist of the process, check out his resources, share key steps with your students, then turn them loose. Use copyright-friendly scenes for background, clipart images for characters (use the png format for a transparent background), and callout shapes for dialogue. Add the “slide to right” transition between slides to simulate reading an actual comic. Of course, they can ratchet up the creativity with student-created characters that they draw, cut out, take pictures, then insert. illustrate a concept from class. This is one of those strategies that give students opportunities for choice, creativity and to work with others. It’s one of those “show what you know” activities that pushes them to higher levels of learning. In addition to your subject matter standards, comic creation also meets your common core writing standards. Think about how you can use comic strips in your classroom. I think your students will have fun creating comics to share with classmates and their families. Consider posting them on your class website or blog to share with a broader audience.